Over 3 lakh people have signed an online petition that seeks to make mandatory the provision of basic medical facilities—such as a doctor on call, an ambulance and necessary medical support including oxygen cylinders and defibrillators—at all airports in the country. Initiated on change.org by Abhishek Singh, a Hyderabad resident, the petition was the result of his angst with the system, after losing his father, late Padmashri Dr Lalji Singh, to a heart attack in December last year. He said his father's demise was the "result of non-availability of necessary m​edical ​support at Varanasi Airport when required." Lalji, an eminent scientist and a pioneer of DNA fingerprinting in India, was travelling from Varanasi to Hyderabad. "Had he received the wheelchair assistance that he had pre-booked, timely medical intervention by a medical doctor, oxygen support or an ambulance to rush him to hospital, his life could have been saved. It was a full 2 hours since when basic medical intervention was requested at the airport to when it was provided at the distant hospital at Banaras Hindu University,” Abhishek recollects. “An ambulance was not even made available and he was transported in a private vehicle as he struggled to breathe during those critical hours. Doctors at the hospital say had primary care been provided within the first hour at the airport, Lalji could have survived," says Abhishek. After receiving a mail from change.org as part of its signature campaign model, Gurmeet Singh, an advocate, served a legal notice to the deputy secretary, ministry of civil aviation, T.N. Dwivedi, for immediate steps to provide medical facilities at all airports across India. 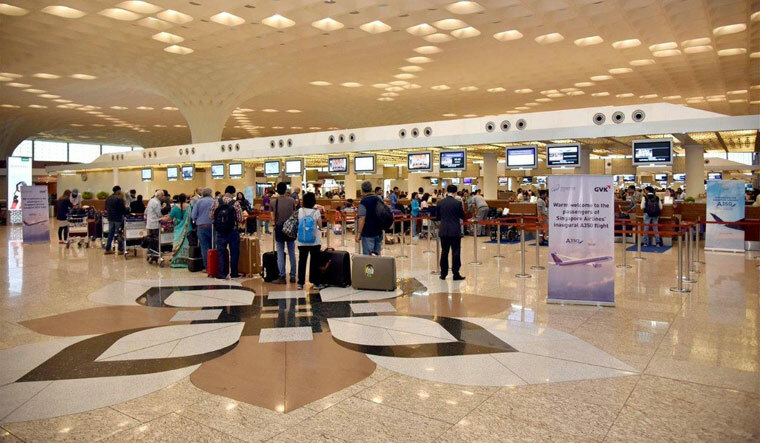 Sheena Sarda, 42, also expresses her grouse with the airport authorities as she narrates an incident when she found no help for a close relative, who experienced severe abdominal pain while waiting at Lucknow Airport. "We were going from Lucknow to Mumbai, when suddenly my aunt felt a sharp pain in her abdomen. We were looking for help—someone who would at least check for what was wrong—but could not locate a single doctor on duty. She sat through the entire flight and it was only upon arriving in Mumbai that she went to a doctor for check-up," Sarda said. Having medical staff stationed at airports at all times for both inbound and outbound patients is a pressing need, especially since it gets difficult for passengers who enter airports to exit easily, especially in cases of medical emergency. A few airports have indeed taken action, such as the Bagdogra Airport Authority, which currently handles about 7,000 passengers a day. The airport stated that with effect from mid-February 2018, it would provide free medical services at the airport to those who require medical attention. So far, there was only a medical inspection unit, which could only provide basic first-aid services to patients. The new free medical services, which includes a doctor and paramedical staff attending to patients, would be extended to passengers as well as airport and airline staff. Oxygen cylinders are also being provisioned. Following Lalji's death, the AAI discussed the need for medical centres at small airports. “We have enlisted hospitals and doctors on call at some small airports, so that they could be summoned if there is an emergency. If a pilot informs about a medical emergency, we call doctors from these hospitals. But the response varies from place to place. Some towns like Salem, Neyveli and Thanjavur do not have good hospitals near the airports. This means that the doctors may take time to reach. However, we have given training on first aid to fire and rescue services personnel to handle minor medical emergencies,” said a senior AAI official. In June 2016, the Narendra Modi government launched the National Civil Aviation Policy, the first comprehensive policy on civil aviation, to make regional air connectivity a reality and flying affordable for the masses through the Regional Connectivity Scheme (RCS), also known as UDAN (Ude Desh Ka Aam Nagrik). But the government must also look at the safety and security of passengers and basic medical support must feature in the scheme of things.